Body Combat is the empowering, martial arts inspired fitness class that is fast becoming one of the most popular workout classes in the world. Body Combat is high-powered exercise class. 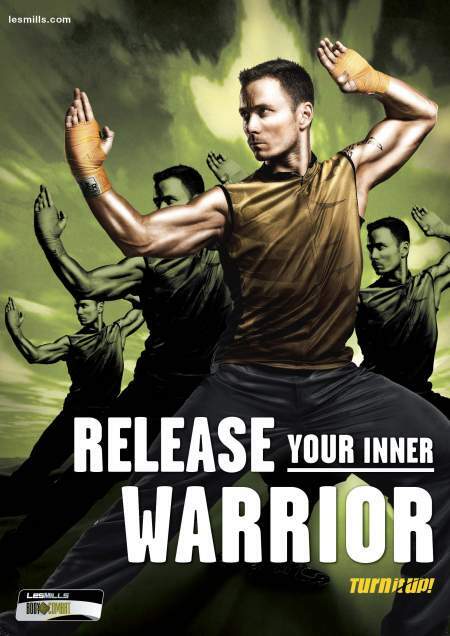 The energetic cardio workout features elements of martial arts and is set to a fantastic soundtrack. Formed under the name Les Mills International; Mills’s son Phillip developed a number of group exercise programmes that were set to music, including Body Combat. What does it actually involve? Each session lasts one hour and features 10 songs, which you kick, punch, strike and jump along to, all whilst following a director at the front of the class. Taking part in Body Combat will burn calories, improve your heart and lung functions, will help you tone and shape and improve your core strength. It will work your whole body, as the moves involved use all of your muscles. Will I be fit enough to take part? Body Combat is for everyone. As long as you have a moderate fitness level you will be fit enough. Just don’t put in too much effort during the warm up; you might not have enough energy for the rest of the class! Each routine runs for three months, then changes so that you won’t get bored. This allows you to learn the routine, which means that once you have it sussed, you can put in even more effort. It helps that the music the workout is choreographed to is fun and enjoyable; there are songs you know and some songs you might not know, which you’ll be singing for the rest of the day! Each routine is extremely high powered, so you will need a bottle of water. It is best to wear gym clothes and sensible trainers, as there is a lot of moving about and you want to be comfortable and not get too hot. You may want a towel too as you will get very sweaty! What if I go wrong? There is no pressure with the class; if you get the moves wrong, miss a step, get your left and right mixed up, it does not matter. Just stop, have a look at the instructor and try to pick it back up. Everyone is concentrating on their own moves to realise if you have gone wrong. So why should I take a class? 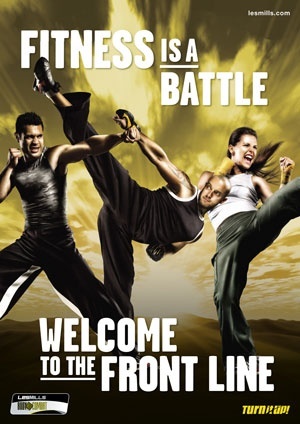 Body Combat is a great way to get fit, burning up to 600 calories per session. It is a lot more fun that a generic work out at the gym, and having people around you and an instructor infront of you makes you put in the little bit more effort. Where can I take the class? You can search for a class near you here.